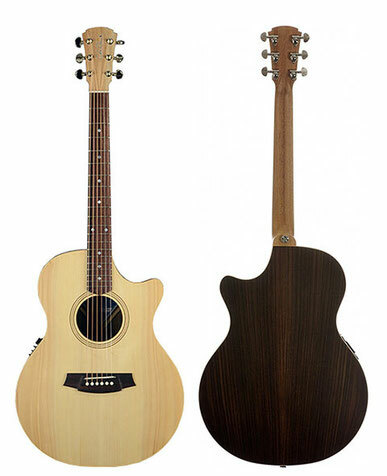 All solid timber grand auditorium full body and cutaway guitars. Snowflake fretboard inlays and binding. 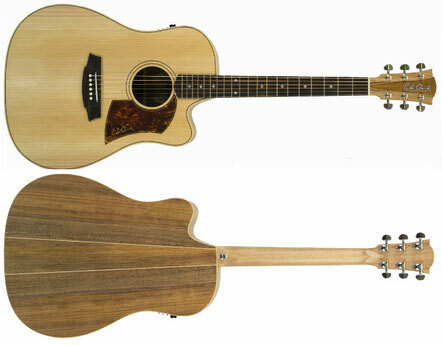 All solid timber dreadnaught with 3 way pickup, snowflake fretboard inlays, timber binding. We always have a FL2EC In store for you to try.